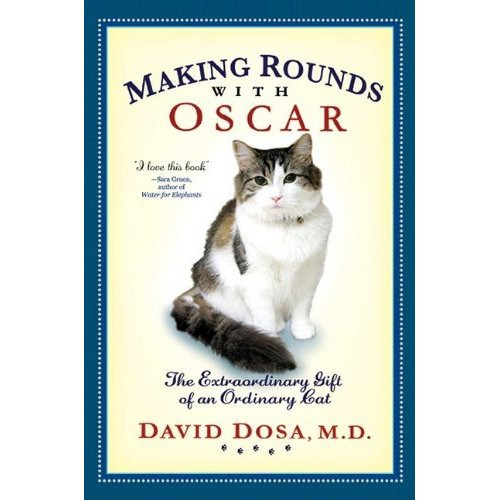 David Dosa MD, MPH is a geriatrician and health services researcher at Brown University in Providence, Rhode Island and the author of the New York Times best-seller Making Rounds with Oscar: The Extraordinary Gift of an Ordinary Cat (Hyperion). One of just 7,000 geriatricians in the United States, he is currently a practicing physician in Rhode Island with clinical interests in the area of dementia and the appropriate care of the elderly. Besides his office practice, Dosa teaches medical students and residents through Brown University. He is also the physician representative to the Rhode Island Senate Long Term Care Committee and a board member of the Nursing Home Alliance for Better Long Term Care. He is a sought after keynote speaker on dementia, Alzheimer's Disease, nursing home care, and end of life care. Dosa has been interviewed on NPR and the BBC, the CBS Evening News, ABC's Good Morning America, NBC's Today Show, CNN, and was featured in People magazine and AARP The Magazine. Caring for America's aging population is a large concern as baby boomers are faced not just with the care of their parents, but with planning for their own old age. As a speaker, Dosa brings his expertise to the fields of geriatrics, dementia, nursing home care, and end of life care. Dosa and Oscar the cat made international headlines when he published an article in the New England Journal of Medicine that revealed the cat's unusual talent: Oscar can predict when patients are going to die. At first glance, Oscar seemed like a typical cat - a handsome but aloof black-and-white tabby with a penchant for naps in the sun. For almost five years he has lived among patients with advanced dementia at the Steere House Nursing & Rehabilitation Center in Providence, Rhode Island. A few hours before a resident dies, Oscar climbs onto his or her bed. He purrs and refuses to leave until the patient dies. His predictions are always right - he never lingers unless the person is within a few hours of death. His unusual talent provides an early warning system, giving caregivers precious time to alert family members that their loved one is near the end of life. Steere House residents and their families are grateful to Oscar for the comfort and companionship he provides during this difficult time. When he first heard about Oscar's uncanny ability, Dosa was skeptical. After all, how can an animal accurately predict when a patient would die when trained doctors can't? But Oscar's perfect record of eleventh-hour bedside vigils, coupled with Dosa's conversations with staffers and families of patients, convinced Dosa that there is something very special about the third floor's smallest resident. Oscar has a calling as a caregiver. Dosa shares the wisdom gained from animals, like Oscar, and shows how pets add so much depth and companionship to our lives. Dosa discusses the story not only of this mysterious cat, but also of Steere House itself, its staff, residents, and families. Today, Oscar continues to keep up his careful bedside manner at Steere House. In all, he has tended to more than fifty residents during their final hours. Dosa interviewed colleagues and family members whose loved ones died with Oscar by their side. Their stories all carry a common, uplifting element: Oscar. While Dosa portrays dementia and all of its difficulties, he provides hope and advice for caregivers who are coping with a loved one's decline. Dosa will also inspire audiences to unlock the critical, but taboo, door behind end-of-life care issues. 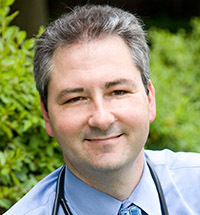 Born in England, Dosa received his BA in Biology from The University of Virginia in 1994 and an MD from The George Washington University School of Medicine in 1998. After training in Internal Medicine and Geriatrics at the University of Pittsburgh, he received a Masters in Public Health from that institution in 2003. After completing work at the University of Pittsburgh, Dosa was hired by the Division of Geriatrics at Rhode Island Hospital with an academic appointment through Brown University. Dosa is a funded researcher with grants from the National Institutes of Aging, the California Health Care Foundation, and the Veteran's Administration. He jointly conducts his research through Brown University's Center for Gerontology and the Providence VA Medical Center's Research Enhancement Award Program. His current research interests include nursing home quality improvement, nursing home response to hurricane disasters, nursing home infections, and medication errors in the elderly. His research awards and commendations include a Merck New Investigator Award in 2006 through the American Geriatrics Society. He is also a Hartford Foundation Scholar and a recipient of a Career Development Award from the Veteran's Administration. Dosa is the author of over 15 peer reviewed publications and several book chapters, including Harrison's Principles of Internal Medicine. Dosa resides with his wife Dionne and their two children, Ethan and Emma, in Barrington, Rhode Island. "This was our fourth annual Lottes Lecture (hospice end of life issues) and I think one of the best. The subject is not an easy one but Dr. Dosa and Oscar offer "a spoonful of sugar" with their presentation. Letting go is the final act of love we can offer. Oscar has no place else to be... he can just be present. Simple but powerful lessons for us all to consider. The visuals of Oscar in the nursing home made the presentation really sparkle. It was just a great event!" "Dr. Dosa's presentation was excellent! He did a fantastic job conveying important patient care points, incorporated the pharmacist's role in patient care and tied in concepts from our conference. Many of our conference attendees were very thankful to have heard him speak and recommended that he could have provided a two hour presentation to our group." "I love this book - Oscar has much to teach us about empathy and courage. I couldn't put it down." "Both touching and humorous. . . It's about listening and letting go. It's also about the inner workings of a nursing home for Alzheimer's patients, the people who work there, the rhythm of their days, and the six other cats who also call it home, cats who also bring comfort to the dementia patients but do not share Oscar's talents of premonition." "Dosa's Making Rounds with Oscar lets us into his world and aims to inspire openness about end-of-life care." "Dr. Dosa is a superb storyteller who tells many poignant stories under the guise of telling a different one." "This touching and engaging book is a must-read for more than just cat lovers; anyone who enjoys a well-written and compelling story will find much to admire in its unlikely hero." "While Dr. Dosa portrays dementia and all of its difficulties, he provides hope and advice for caregivers who are coping with a loved one's decline. The book will inspire readers to discuss the critical but very difficult issue of end-of-life care." "Dr. Dosa has written a book that compassionately addresses end of life issues. The stories he shares about residents and their families who must deal with such painful issues such as Alzheimer's Disease and other forms of dementia, and terminal illness, are tender and heartfelt."